Janet is a Certified Holistic Manifestation Coach & BreakThrough Coach (BTC). 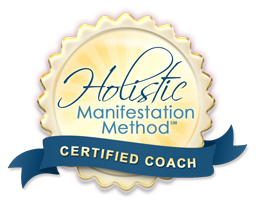 The Holistic Manifestation Method is a simple 5-step coaching system that gets you to the results you want most in any aspect of your life or career. The secret is in its Elegant Alchemy Healing Technique, which shifts you into a higher level of clarity and wisdom. So you clearly see opportunities you never even knew existed before. It’s like seeing your best pathway from the top of a mountain or a bird’s eye view rather than wandering aimlessly through the woods. Watch your life transform in ways you have dreamt about when you dream BIG! A coaching program begins with a complimentary 15-20 minute discovery session so you can get the big picture of the process. Once we determine that we are a good fit, we’ll schedule a “Guided Inspiration” session and a follow-up to discuss your takeaways and next steps. My coaching experience has taught me that this is not a “one-shot deal.” I’ve helped people organize their priorities in one month and have seen new patterns created in as few as three months. However, I have seen the most success over a period of six months or more, so that the new pattern is embodied for a successful future. If you are interested in setting up a Discovery Session, Set up an appointment.